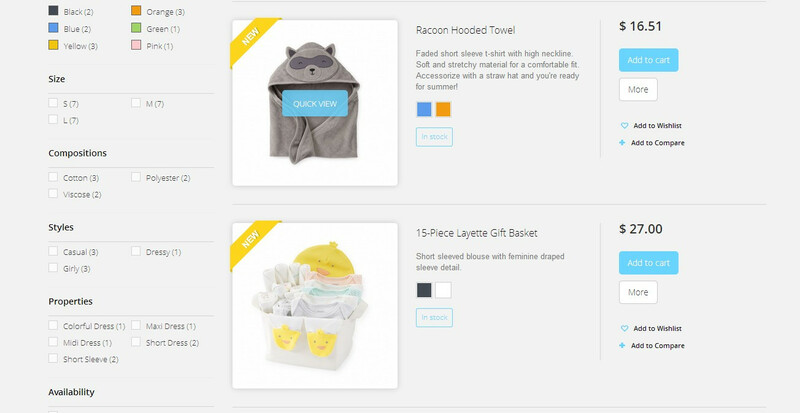 If products for kids is your business primary focus this template is made just for you. 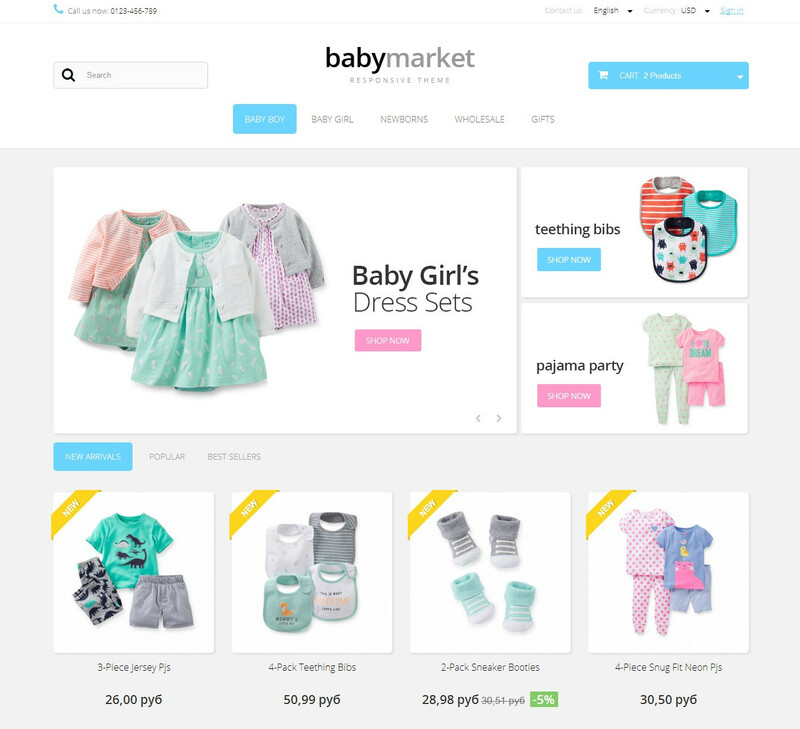 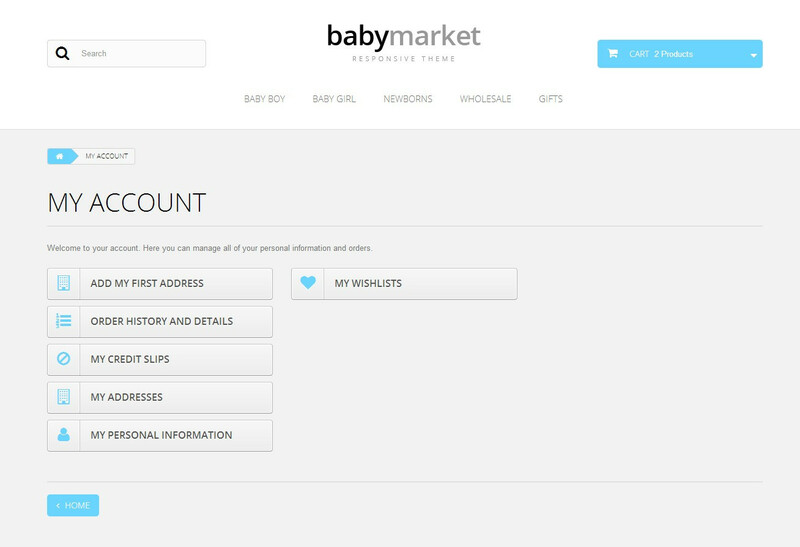 Our Baby Market Responsive Prestashop 1.6 Theme has a colorful and light design we planned exactly for this product line. 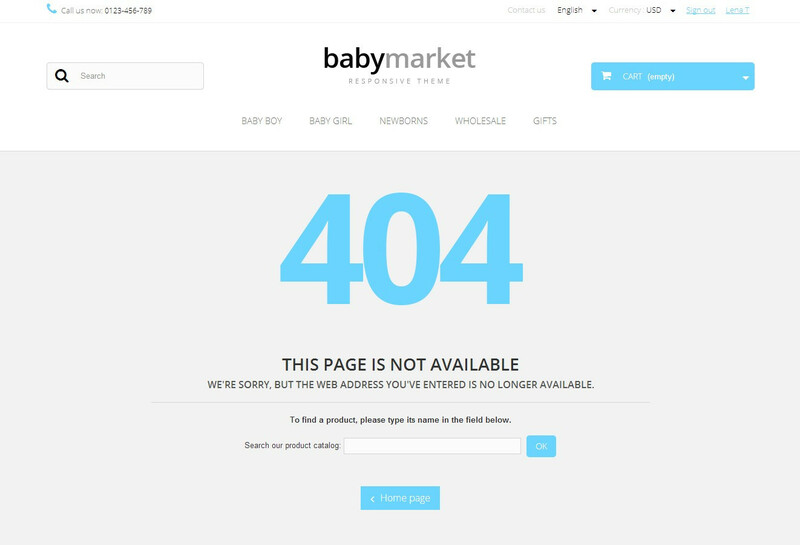 It can obviously suit a number of other stores though. 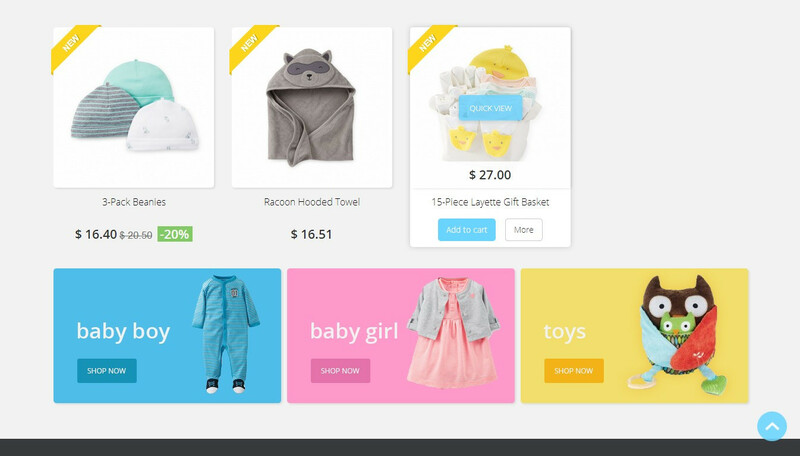 A beautiful airy Prestashop 1.6 Baby Market Responsive Theme will turn a default Prestashop installation into stylish website which is nice to visit and navigate. 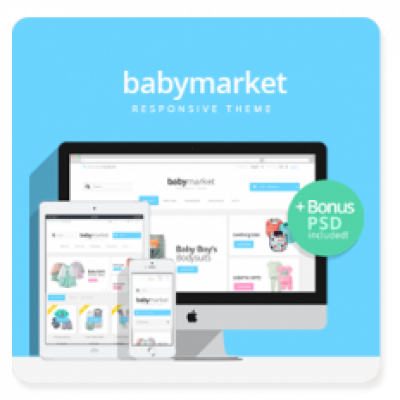 Supporting both desktop and mobile systems your shop will look awesome on any device. 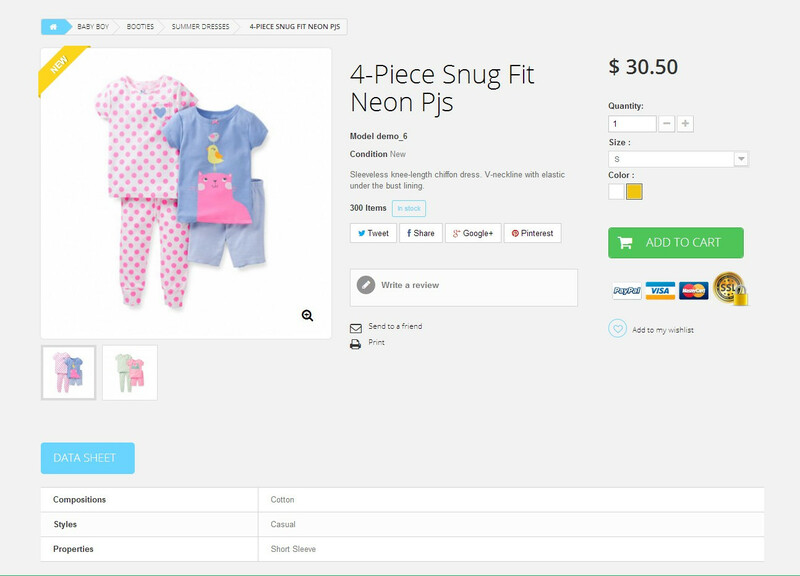 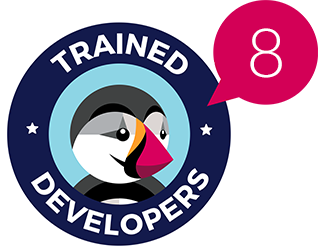 The idea behind the design was a friendly-looking and easy to use website to sell various products meant for kids – starting with apparel and ending with toys and furniture. 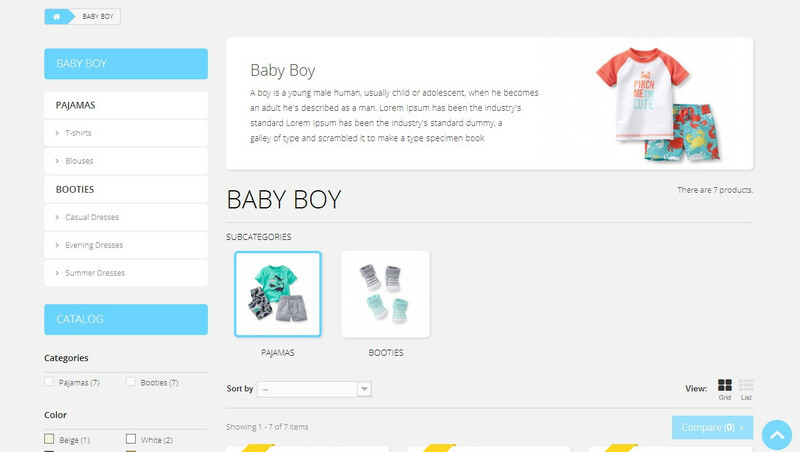 However it doesn’t mean this template can’t suit any other product line – we are sure it can compliment a variety of other product types. 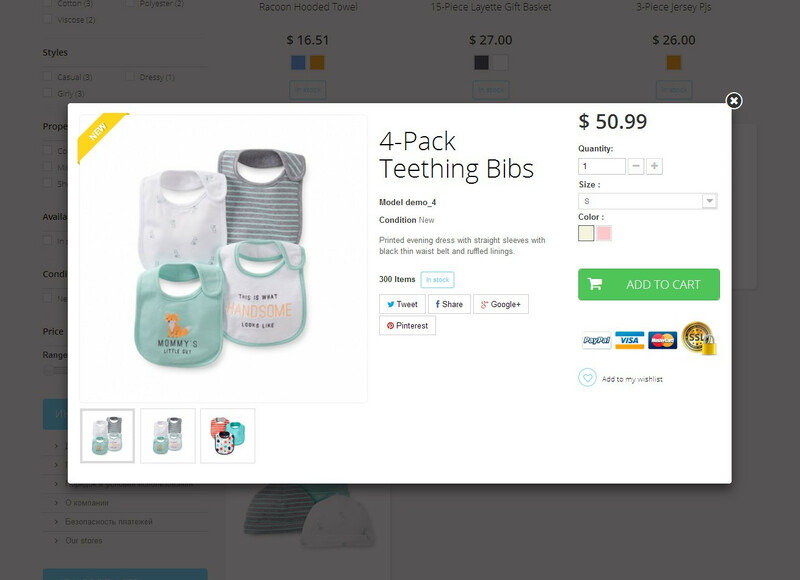 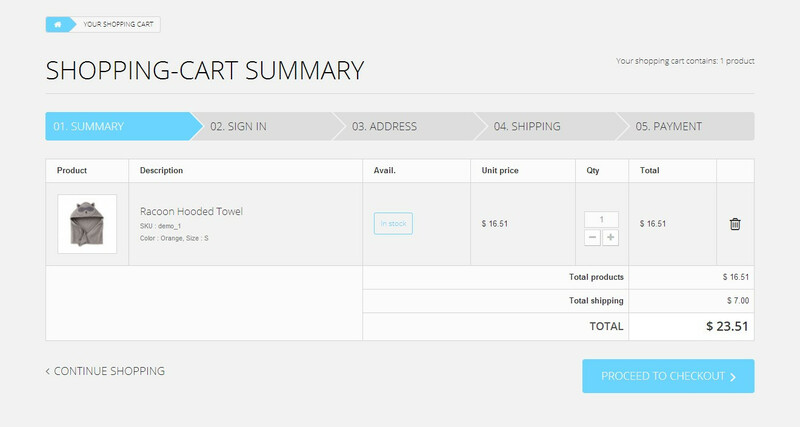 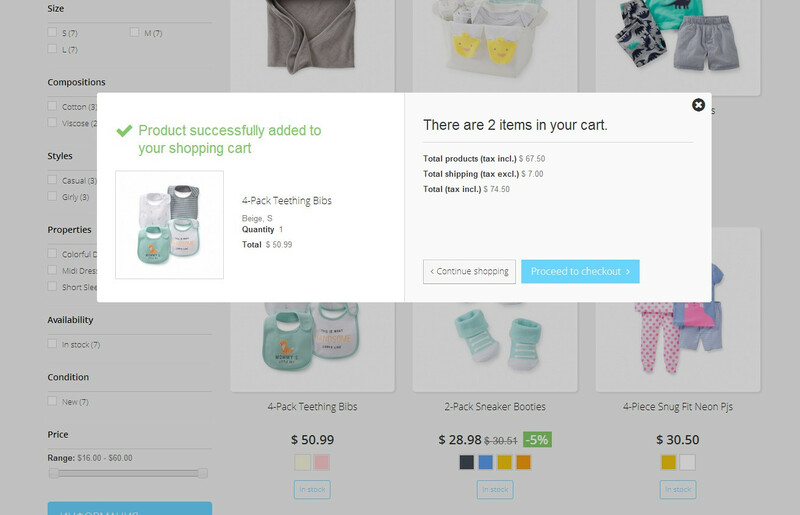 The theme comes with the built-in Scroll Top and Quick View module which allows to view and add products to the shopping cart right from the quick view pop-up, without causing page reload.